In the early 1500s, Spanish explorers brought back a strange wood from the West Indies. It came from a tree the natives called guaiac (GWI-yack). This wood was very hard, and so heavy it sank in water. When heated, it oozed a pleasantly scented resin. Like the aromatic tree resins of the Old World (think frankincense and myrrh) this New World resin was also used to treat pain. Up until the 1920s, medicines made from guaiac tree resin and bark shavings were very popular remedies for inflammatory conditions such as rheumatism, arthritis, gout, and syphilis, as well as for bronchitis, sore throat, and other upper respiratory complaints. In Europe the common name for this special wood became “lignum vitae” which means “wood of life” in Latin. In the 20th century, when modern medicine brushed aside herbs in favor of drugs, guaiac bark was given new life as guaifenesin (GWI-fin-uh-sin). A compound synthesized from guaiac resin, guaifenesin was approved as a drug by the U.S. Food and Drug Administration in 1952 for removing phlegm in the lungs. However, some believe the drug may also retain some of guaiac’s legendary pain relieving ability. Today, guaifenesin is primarily used as an expectorant, which means it thins mucus so it’s easier for the body to get rid of it. Because it’s safe and effective, dozens of prescription and over-the-counter products contain the drug. Guaifenesin is usually combined with other drugs, such as antihistamines, cough suppressants, and decongestants to relieve cold symptoms from multiple angles. One common companion ingredient is dextromethorphan—a morphine derivative that in small doses acts as a cough suppressant. 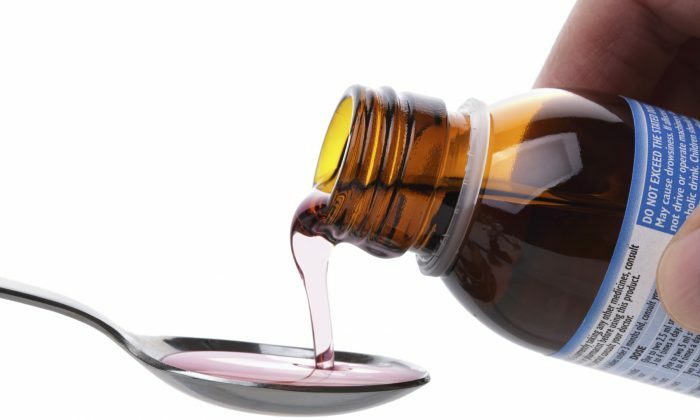 In large doses, dextromethorphan can cause heavy sedation and mild hallucinations. While guaifenesin itself doesn’t present a potential for abuse, dextromethorphan does, so preparations that contain both drugs, such as Robitussin and Mucinex, are best kept restricted from teens seeking a dissociative high. Although guaifenesin is relatively safe, it should still be used with care. Health experts discourage its use with children under 4 years old. The drug is mildly sedating, but it can also irritate the stomach, and too much may make you vomit. To avoid nausea, follow the recommended dose and take with food. Guaifenesin can also dehydrate the body. Thinning mucus is a job that requires a lot of water, so it is important to stay well hydrated when taking guaifenesin. Health professionals recommend drinking one glass of water per dose. Increased fluid intake also helps prevent another potential side effect of guaifenesin: kidney stones. While the FDA only approves guaifenesin for cough and cold medicine, some also use it for a number of health problems that hearken back to the old days when guaiac resin was used for pain. The most controversial is as a treatment for fibromyalgia. Fibromyalgia is a chronic condition that engulfs the body in pain, stiffness, and fatigue. There is no proven cure, but many claim to have overcome the disease using various alternative methods. One of these methods is called the guaifenesin protocol. This protocol was developed by Los Angeles-based endocrinologist and UCLA assistant clinical professor, Dr. R. Paul St. Amand, who claims to have cured himself and many of his patients using guaifenesin. The regimen involves regular doses of the drug, in addition to strictly avoiding the many foods, herbs, and drugs that contain salicylates of salicylic acid, which Dr. St. Amand says interfere with the process. Pain drugs containing aspirin are the most concentrated form of salicylates, but certain perfumes, peppermint, green tea, and other common items can contribute to salicylic acid exposure. The guaifenesin protocol is not for the faint of heart, as the already painful symptoms of fibromyalgia are typically made worse for a period of time. However, since fibromyalgia patients often find no relief with conventional remedies, they have an incentive to endure a harsh routine. According to Dr. St. Amand’s protocol, this temporary intensity of symptoms is a sign the dose is correct and the treatment is working. Flu Shot or Chinese Herbs, Which Is More Reliable? The only study evaluating the guaifenesin protocol—a one year placebo-controlled trial published in 1996—found the treatment to be a failure, and the head researcher, Dr. Robert Bennett, determined that any supposed cures that came from the protocol were likely due to a placebo effect. But Dr. St. Amand argues that Bennett’s study failed to eliminate salicylates as his protocol dictates. The theory behind Dr. St. Amand’s protocol is that fibromyalgia symptoms are due to accumulation of calcium phosphate deposits in the joints, muscles, and connective tissue, which guaifenesin helps to remove. But critics argue that no study demonstrates that calcium phosphate actually contributes to the disease. While guaiac resin and bark were once popular medicine in Europe and North America, today they are rarely if ever found in commerce. However, herbalists living near where the tree grows (Jamaica, Mexico, and Central America) still use this herb for issues such as pain, cough, and tonsillitis. 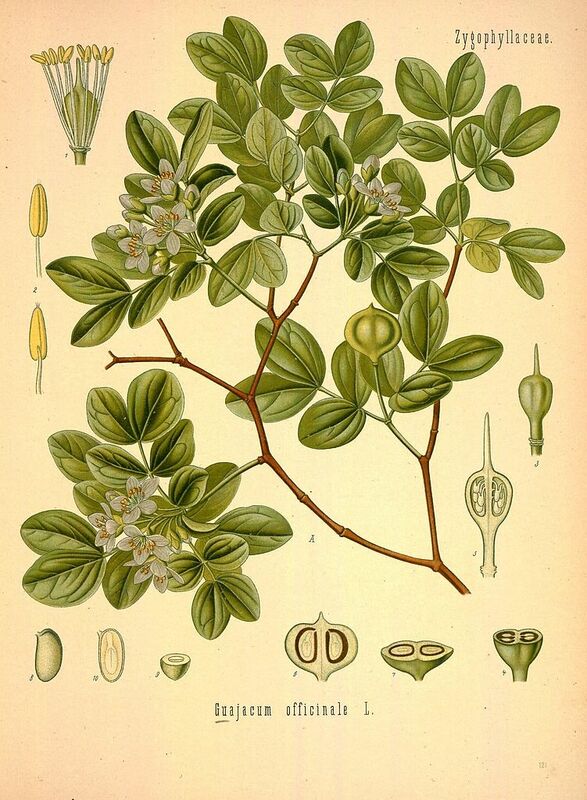 Today, the guaiac product most readily available is the essential oil, which has a wonderfully unique aroma that is often used to scent soaps, and as a base note in perfumes. Some also apply the oil topically to painful joints and tendons. 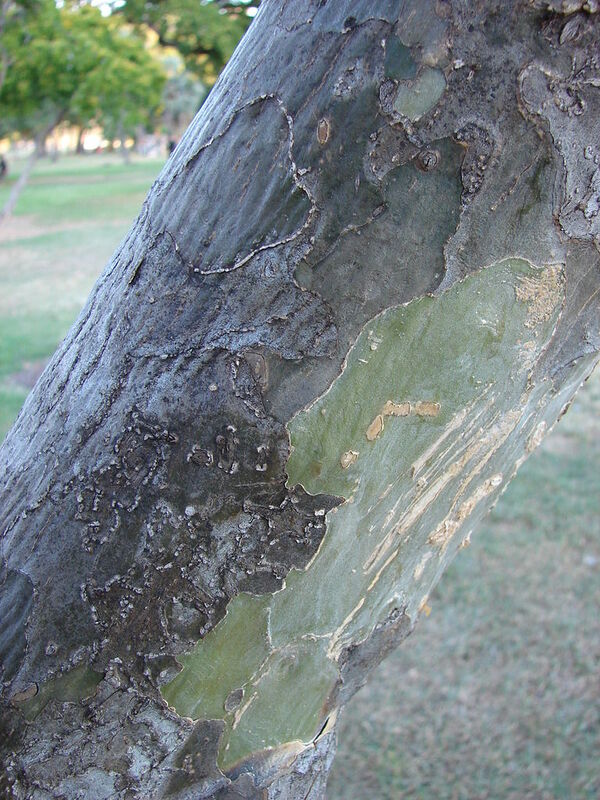 The guaiac tree still holds a place in conventional medicine as a diagnostic tool. Another strange characteristic of guaiac wood is that it changes blue or green with exposure to certain elements. A guaiac stool test helps doctors identify intestinal bleeding—a sign which could mean an ulcer or cancer. Chris Kilham, the Medicine Hunter, discusses how the herb cat's claw can have an anti-inflammatory effect and also benefits immunity. More than 100 women die from breast cancer every day in the United States.